Is 3-D Mammography Worth The Extra Expense? : Shots - Health News A newer type of breast imaging costs more. It's not yet clear if the three-dimensional approach is more effective at catching cancers that will kill. A 3-D mammogram reveals a normal breast. When I went to the imaging center for my regular mammogram last year, the woman behind the desk asked me if I'd like to get a "3-D" mammogram instead of the standard test I'd had in the past. "It's more accurate," she said. What do you say to that? "No, thanks, I'd rather have the test that gets it wrong?" Of course, I agreed. A growing number of women are likely to face a similar choice in coming years as imaging centers across the country add three-dimensional mammography, also called digital breast tomosynthesis, to the two-dimensional, or 2-D, screening women customarily receive. What's not yet clear is whether this newer, more expensive technology is better at catching cancers that are likely to kill. So should it be widely recommended? And who should pick up the extra cost involved? According to the Food and Drug Administration, there were 3,915 certified mammography imaging facilities that offered digital breast tomosynthesis in January. That's a 30 percent increase over the previous January, when the total was 3,011. Some facilities have switched over entirely to 3-D imaging, but many practices have both. "There's a lot of marketing pressure to offer these new machines," says Robert Smith, vice president of cancer screening at the American Cancer Society. Both types of tests use X-ray technology to create images of the breast. The 2-D digital mammograms that most women receive typically provide front and side images. For the 3-D test, the X-ray arcs across the breast, creating multiple images of breast tissue. The experience is the same for women, though, because both scans involve compressing the breast between two plates extending from the machine. "Cancers don't always progress and kill people," says Dr. Etta Pisano, chief science officer at the American College of Radiology's Center for Research and Innovation and a faculty member at Harvard Medical School. Pisano is leading a five-year clinical trial of 165,000 women that will compare the two types of mammography to evaluate whether the new technology reduces the risk that women will develop life-threatening cancers. "If tomosynthesis is improving the likelihood of women to survive their breast cancers, they should have fewer cancers that are more likely to kill women over the 4.5 years of screening. Since tomosynthesis caught them early, they'll never grow up to be bad cancers," Pisano says. Overdiagnosis is one of the potential downsides of this technology, says Dr. David Grossman, chair of the U.S. Preventive Services Task Force. The more sensitive test picks up more breast lesions for which the clinical significance is unclear, potentially resulting in women receiving more testing and treatment they don't need. Some research suggests the biopsy rate is slightly higher with 3-D mammograms. In addition, some of the mammography systems require both 2-D and 3-D X-rays, which can expose women to twice as much radiation. Other systems are able to generate a 2-D image from the 3-D version with software, eliminating the extra exposure. 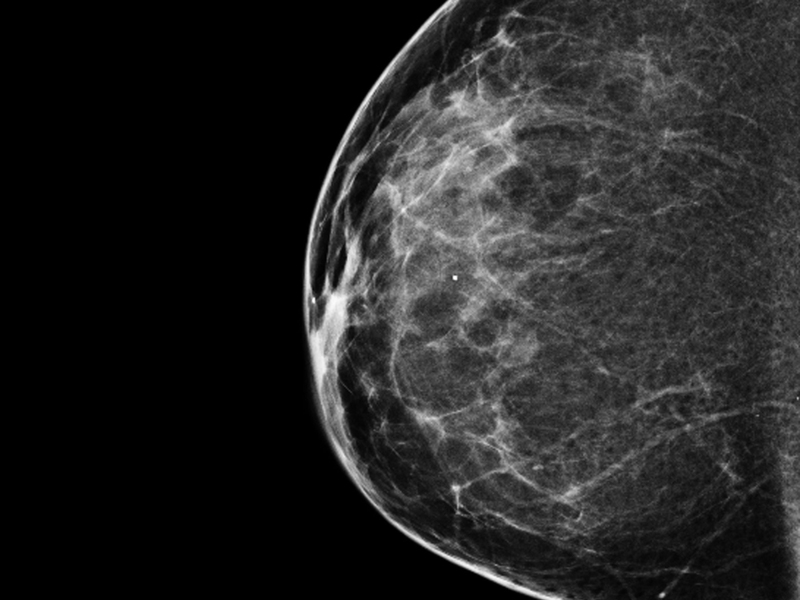 The 2-D image is important because clusters of calcifications, which may signal breast cancer, might be easier to see on the 2-D image, says Pisano. Under the Affordable Care Act, most health plans are required to cover preventive services that are recommended by the task force without charging patients anything out-of-pocket. The task force recommends mammograms every other year for women ages 50 to 74, but it says that there's not enough evidence to recommend 3-D mammograms at this time. Insurance coverage of 3-D testing has improved in recent years, but it's not assured. The 3-D test typically costs about $50 more than a 2-D test, according to a 2015 study by Truven Health Analytics that was funded by Hologic, a manufacturer of 3-D mammography systems. Medicare also covers 3-D tests. My state of New York also requires coverage, without any out-of-pocket payments. Though I didn't have to pay it, the explanation of benefits form I got from my insurer says the 3-D portion of the test added $51 to the $157 cost of the mammogram. "Costs are high for new technologies," Pisano says. "Maybe they are better, but we need to have evidence before we recommend it for the entire population." So if you're offered a 3-D test, should you get it? "If the examination is available at no extra cost, the data we have now tells us it has some advantages," says Smith. On the other hand, "any woman who's feeling stressed about the extra cost ... should feel comfortable getting a regular mammogram," he says.